In the world of crafting and crafters, not anything can be useless. Because of the creative mind and creative imaginations can make everything reusable and unique. And today we are going to talk about wine bottle crafts. Yes, empty wine bottles can bring in use for various purposes and you can create so much fun crafts from them. Repurposed DIY bottle crafts can be seen everywhere in the world of crafters. They create so much amazing and beautiful DIY wine crafts in many shapes and sizes. 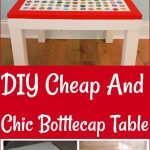 From wine bottle vases to DIY wine bottle birdfeeders and wine bottle chandeliers to wine bottle centerpieces can be made even you can make many different and useable pots like trays as shown in the list below. You just have to use different paints, colors, or glitters to make them adorable after removing the labels and drying them. You would also have to need a cutter to give them any other shape or just cut them from the centers. That’s why today I have brought to you a very interesting and mind-blowing list of amazing DIY wine bottle crafts and ideas that will really blow your mind and make you able to reuse old and useless empty bottles. So, don’t think about to throw empty bottles out because there is a creation hidden in these bottles and that is new ideas and imaginations. As wine bottles come in different sizes and different shapes so there is an opportunity to make DIY wine bottle crafts in various styles and designs. 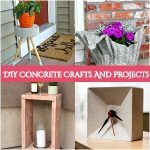 So, you can create very practical items that you can bring I use in your routine life or décor items that can brighten up your home. 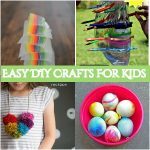 So, scroll down and let the craft ideas inspire you to make them with your own hands. For further details and information, you can click the links shown under each craft and idea. Move ahead and see what amazing crafts and ideas are waiting for you.